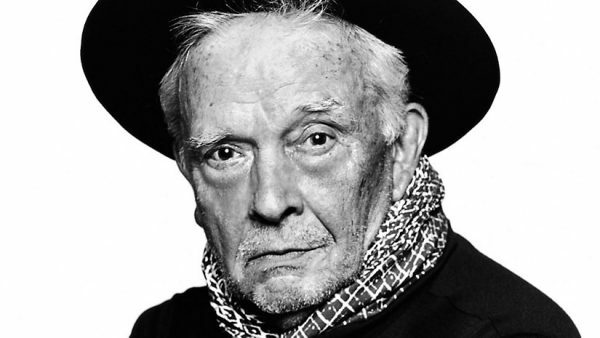 David Bailey is one of the most highly acclaimed photographers and possibly the most famous one. His career spans more than five decades and he is responsible for the “Cool” British style that changed the face of fashion photography and was to influence generations of photographers, artists, and designers to come. He has been taking pictures for more than 60 years now and his lens has captured some of the most important and high profile people in the world. Bailey is often more well known than some of his subjects which include actors, filmmakers, writers, musicians, fashion icons, designers, models, artists, and people he encountered on his travels. In the 1960’s there was a film based on him, the iconic Blow-up by the Italian director Antonioni – people often say he was the Johnny Depp of his time, his good looks and bad boy behavior is legendary. And of course there are his women! His status not only makes him internationally famous as a photographer, but his marriages and relationships with some of the world’s greatest beauties make him one of the most envied males on the planet. He has lived, among others, with Jean Shrimpton whose career Bailey launched and who was to become the ultimate beauty icon. He was married to theFrench actress Catherine Deneuve and to the stunning American model Marie Helvin. His present wife, Catherine Bailey, is one of the great contemporary British beauties, and she is the only wife to change her name to Bailey and to give him children – two sons and a daughter. This February a major exhibition of Baileys portraits consisting of more than 300 photographs has been launched at London’s National Portrait Gallery, sponsored by HUGO BOSS. The show is very aptly named “Bailey’s Stardust”, reflecting the idea that stardust is what we are all made from and will return to.The show was curated by Bailey himself over the last three years and the result is one of the largest and most important shows to be shown in the National Portrait Gallery. The entire ground floor of the gallery has been given over to the exhibition and arranged thematically, feeling almost like a diary of Bailey’s work, yet to quote him, “the choice of what to put in and what to leave out of the show was very hard”. Bailey who never ceases to work has probably enough photographs to fill several floors of the National Portrait Gallery. There are rooms devoted not only to iconic images of people in the world of fashion and the arts, but to his travels in Dehli, the Naga Hills, Australia, as well as very moving documentary images from Papua New Guinea and the devastation by famine in East Africa in the 1980’s. Other rooms house images from his acclaimed body of work, Box of Pin–Ups including Michel Caine, Mick Jagger, and the notorious Kray Brothers. An entire area is given over to photographs of his wife Catherine Bailey and another room holds images from Bailey’s Democracy book where ordinary people were asked if they agreed to be photographed naked. Meeting Bailey at his studio after the show I managed to ask him a few questions, and as always his answers were very illuminating. No, I was just interested in doing something creative with my life. As a kid I painted endless images of Disney characters. When I was ten or eleven, I liked the magic of processing film. My mum had a camera I used. It was a little Box Brownie that unfortunately, was stolen. I couldn’t afford another until I was in the Airforce in the late 50’s, which was a cheap copy of a twin lens Rolleiflex. Your love affairs and marriages with beautiful women are legendary, what was your appeal? Who is the best model you have ever worked with? I don’t do best, because I don’t understand what it means. The easiest girls to work with were Jean Shrimpton and Kate Moss. They both have an instinctive ability in front of the camera like Garbo and Dietrich. The camera just loves them. Technology has also played a big part in the way we look at beauty, with the use of computers and heavy retouching. This is no different from what Raphael did, you don’t think all those Renaissance women looked like that in reality do you?